I'm liking this, I'm liking this a lot. Nigerian's MCskill Tha Preacha recruits fellow Nigerian Magic Man, Malawi's Dominant 1 and Third Eye, UK's SHVA-1 and New York City's AWKWORD for the official remix of his single The Season. 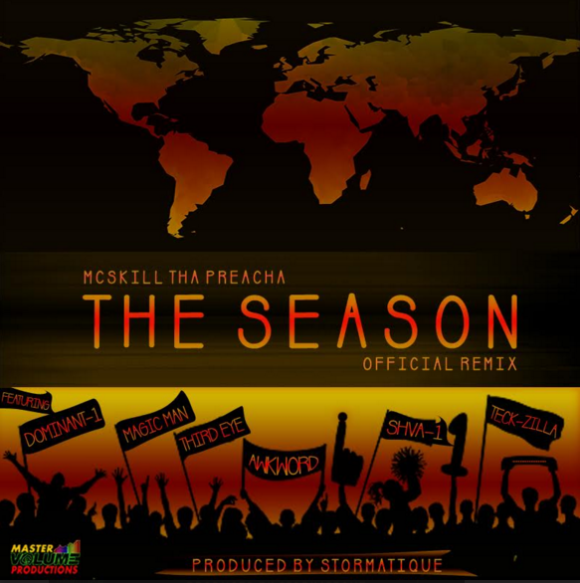 The original song which is also produced by Stormatique can be found on MCSkill's The Season EP which is out now. Scratches by Teck-Zilla. Stream it after the jump.